Here are the answer for many request into our email account about “SEO Poersuite Enterprise Latest Version”. This version included: Rank Tracker v8.1.3, WebSite Auditor v4.12.3, SEO SpyGlass v6.14.3, LinkAssistant v6.1.3, BuzzBundle v2.24.3 ( All Latest FULL VERSION 2016 and UPDATABLE ). SEO PowerSuite is always in line with the constant changes in search marketing — and we’re passionate about keeping it that way. No one likes boundaries. So we don’t set any. SEO PowerSuite lets you do SEO for an unlimited number of websites, tracking however many keywords, search engines, pages, backlinks, etc. — and having the data updated whenever you need, however often. At no extra cost. Your SEO reports are the ultimate product you deliver to customers. That’s why it’s crucial that you have full control over them.With SEO PowerSuite Enterprise, you can use one of the handy ready-made templates or build reports of your own from scratch, white-label and customize them to perfection, and email reports to clients and colleagues right from the app.Have tons of SEO reports to send out to hundreds of customers? Schedule it — so that each client gets their tailor-made report exactly when they need it. Not a minute late. How much work do you need to get done today? Probably more than you physically can. And it’s all urgent and important, and it keeps piling up.The truth is, you can have more stuff done in less time. Just quickly adjust the Scheduler’s prefs once, and let SEO PowerSuite run any of your SEO tasks (or all of them!) on autopilot, saving you the time for things you can’t automate. 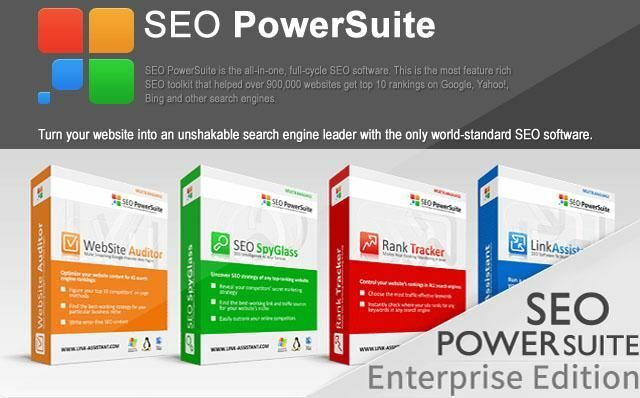 SEO PowerSuite Enterprise is a software package designed for Internet Marketing and SEO agencies. This full-cycle SEO toolkit is made up of 5 tools, each concentrating on a particular aspect of search marketing. Browse though all BuzzBundle’s unique buzz-generating features and see how this powerful tool lets your business storm full force into the social media Web. kug ketika di masukin lisensi professional yah? bukan enterprise? Iah gan sesuai.. 🙂 tapi menggunakan privoxy ada masalah gan… beberapa task akan error seperti ini http://prntscr.com/b86iob . kalo privoxy dimatikan dia tidak error. itu task yg error dari SEO POWERSUITE nya kah? apa software lain gan? Harus cari IP range baru yang ga ngeblock alexa, tp sepertinya ga mungkin soalnya dia ngambil data dari alexa nya ga langsung dari alexa tp redirect dulu ke server mereka, smentara server mereka kan kita block agar bisa jalanin software nya.